For a number of innovative and life-saving medical treatments, from organ replacements and skin grafts to cancer therapy and surgery, success often depends on slipping past or fending off the body's immune system. In a recent development, aimed at aiding cancer detection and treatment, Drexel University researchers might have found the ideal surface texture for helping microscopic, medical helpers to survive in the bloodstream without being screened out by the body's natural defense mechanisms. The researchers, led by Hao Cheng, PhD, an assistant professor in the Materials Science and Engineering Department of Drexel's College of Engineering, have been studying how to prolong the life of nanoparticles in the body. These aptly named tiny organic molecules can be tailored to travel through the bloodstream, seek and penetrate cancerous tumors. With this ability, they've shown great promise, both as markers for tumors and tools for treating them. But at this point, a major limit on their effectiveness is how long they're able to remain in circulation – hence Cheng's pursuit. "Most synthetic nanoparticles are quickly cleared in the bloodstream before reaching tumors. Short blood circulation time is one of the major barriers for nanoparticles in cancer therapy and some other biomedical applications," Cheng said. "Our group is developing a facile approach that dramatically extends nanoparticle circulation in the blood in order to improve their anti-tumor efficacy." His latest discovery, published in the journal ACS Nano, shows that surface topography is the key to nanoparticle survival. Cheng's research group shows how polymer shells can be used to cloak nanoparticles in the bloodstream from uptake by the immune system and liver – the body's primary screeners for removing harmful intruders from circulation. As soon as nanoparticles enter the bloodstream, plasma proteins immediately attach onto their surfaces, a process called "protein adsorption." Some of these adsorbed proteins behave like a marker to label nanoparticles as foreign bodies, telling the immune system to remove them. Previously, scientists believed that once the nanoparticles were "protein tagged" macrophages, the gatekeeper cells of immune system, would assume primary responsibility for clearing them from the blood. But Cheng's research found that liver sinusoidal endothelial cells actually play an equally important role in scooping up bodily invaders. "This was a somewhat surprising finding," Cheng said. "Macrophages are normally considered the major scavenger of nanoparticles in the blood. While liver sinusoidal endothelial cells express scavenger receptors, it was largely unknown that reducing their uptake of nanoparticles could have an even more dramatic effect than efforts to prevent uptake by microphages." So to keep nanoparticles in circulation the researchers needed to develop a way to thwart both sets of cells. The method currently used for keeping these cells at bay, is coating the nanoparticles with a polymer shell to reduce protein adsorption – thus preventing the particles from being targeted for removal. Polyethylene glycol – PEG, for short – is the polymer widely used as the nanoparticle coating and one Cheng's lab has employed in its previous work developing coatings for nanoparticles that can penetrate solid tumors. Researchers have shown that deploying PEG in a dense, brush-like layer can repel proteins; and grafting it less densely, in a form where the polymer stands look more like mushrooms, can also prevent protein adsorption. But the Drexel researchers discovered that combining the two types of layers creates a nanoparticle coating that can thwart both proteins and the immune system's "bouncer" cells. "We found that it takes a mushroom on top of a brush to keep nanoparticles 'invisible' in the bloodstream," said Christopher Li, PhD, a professor in the College of Engineering and co-author of the paper whose work focuses on engineering soft materials, such as polymers. "Our hierarchal bi-layer approach is a clever way to combine the advantages of both the brush configuration, as well as low-density PEG layers that form mushrooms." It turns out that with more space to spread out on a nanoparticle shell, PEG "mushrooms" wave like seaweed swinging in water, making nanoparticles difficult for macrophages and liver sinusoidal endothelial cells to scoop up. The dense inner layer of PEG brushes does its part to keep proteins away, thus making a formidable combination to prolong a nanoparticle's trip in the bloodstream. "For the first time, we are showing that a dynamic surface structure of nanomaterials is important for their fate in vivo," said Hao Zhou, PhD, who was a doctoral student in Cheng's lab and the lead author of the paper. 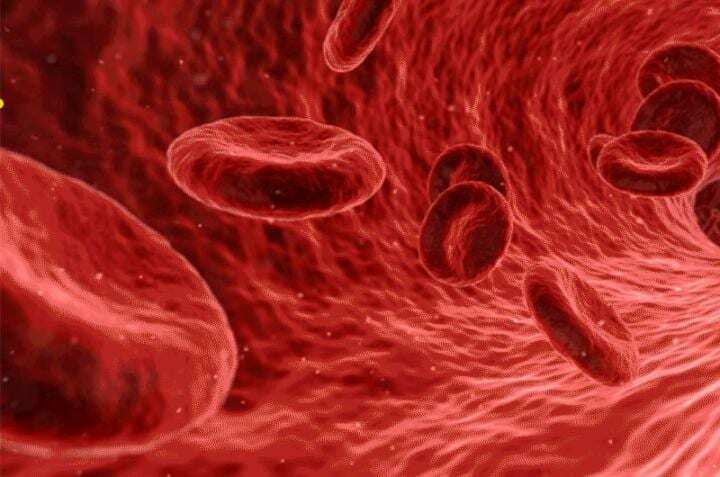 With the hierarchal polymer layers cloaking the outside of nanoparticles, Cheng found that they can remain in the bloodstream up to 24 hours. This is a twofold increase over the best results in previous nanoparticle studies and it means that a greater number of particles would be able to reach their ultimate destination inside tumors. "This discovery suggests that we have identified the optimal PEG configuration for coating nanoparticles," said Wilbur B. Bowne, MD, a cancer surgeon and professor in Drexel's College of Medicine, who contributed to the paper. "Prolonging the circulation time to 24 hours expands the possibilities for using nanoparticles in cancer therapy and diagnosis." This research was funded by the Pennsylvania Department of Health and the National Institutes of Health. Other coauthors of this paper are Zhiyuan Fan, Peter Y. Li, Junjie Deng, and Dimitrios C. Arhontouslis.